On March 11, 2016, the Department of Homeland Security (DHS) published a final rule allowing certain F-1 students who receive science, technology, engineering, and mathematics (STEM) degrees, and who meet other specified requirements, to apply for a 24-month extension of their post-completion OPT. A full list of STEM-Designated Degree Program List, is available on the following web link: https://www.ice.gov/sites/default/files/documents/Document/2016/stem-list.pdf. The issuance of the final rule provides different scenarios for eligibility and application timelines for students who are applying for their initial period of STEM OPT extension and those on 17-month STEM extension wishing to apply for an additional 7-month STEM OPT extension (to the maximum of 24-months under the new rule). Students with an approved or pending 17-Month STEM OPT request should review the chart below to determine options available and next steps. IF you want to request to add 7 months to your STEM OPT extension from USCIS. To be eligible you must have at least 150 calendar days remaining before the end of your 17-month OPT period at the time the application is filed with USCIS. Must meet all requirements of the 24-month STEM OPT extension. Timely Filing of the Seven-Month Extension- The Form I-765 for the seven-month extension along with applicable fee and supporting documentation must be sent to USCIS before August 8, 2016 and within 60 days of the date the FSA enters the recommendation for the 24-month STEM OPT extension into the student’s SEVIS record whichever is earlier. A completed Form I-983 Mentoring and Training Plan will be required. This from must be completed by the student and their STEM OPT Extension Employer. For guidance on the I-983 please visit the Study in the States website. You do not withdraw your Form I-765 application. DHS will apply the requirements of the 24-month STEM OPT extension to pending 17-month STEM applications. Beginning May 10, 2016, USCIS will issue Requests for Evidence (RFEs) to students whose applications are still pending on May 10th. The RFEs will allow students to effectively amend their application to demonstrate eligibility for a 24-month extension without incurring an additional fee or having to refile their EAD application. A completed Form I-983 Mentoring and Training Plan will be required. This form must be completed by the student and their STEM OPT Extension Employer. For guidance on the I-983 please visit the Study in the States website. IF you do NOT want to add any additional time to your STEM OPT extension, you do not need to file any new forms or pay any fees. You are authorized to keep working until the end date of your current 17-month STEM OPT period as it appears on your current EAD following the 2008 17-Month STEM rules. Students who have an approved 17-month STEM OPT extension may begin applying for the additional 7 months of STEM OPT on May 10, 2016 and on or before August 8, 2016. The new Form I-765 for the seven-month extension along with applicable fee and supporting documentation must be sent to USCIS before August 8, 2016 and within 60 days of the date the FSA enters the recommendation for the 24-month STEM OPT extension into the student’s SEVIS record (this is the date that the FSA entered the OPT STEM Extension recommendation in SEVIS) whichever is earlier. Students who have a pending application for the 17-month STEM OPT extension at USCIS will be issued a RFE beginning May 10, 2016. The RFE will request the student to submit a new Form I-20 that was endorsed on or after May 10, 2016. The new I-20 indicates that the student has a completed and signed Form I-983 and that the student is recommended for a 24-month STEM OPT extension. Once students receive the new I-20 they are required to mail all requested documents listed on the RFE to USCIS immediately. Completed Form I-765. Please download the form at www.uscis.gov. This is an online fillable form. Please type your information. Have you ever received an EAD card before? Check the "yes" box. Passport must be valid at least 6 months into the future. COPY of all previously issued OPT/CPT I-20s if you had OPT or CPT in the past. The student should ask previous schools for copies of I-20 if he/she does not have the originals. COPY of front and back of any previously issued EAD(s). Please allow three weeks to review and recommend your 7-month STEM OPT Extension in SEVIS. An FSA will email you when the STEM OPT I-20 has been issued and is ready for STEP 2. 2 U.S. Passport-Style photographs with small envelope. Photos must meet U.S specifications (not taken in home country). Check for $380.00 payable to "U.S. Department of Homeland Security"
Write "For OPT STEM Extension" on the memo line. Completed Form G-1145 - Please download the form at www.uscis.gov. When filing Form I-765 at one of the USCIS Lockbox facilities, you may elect to receive an email and/or text message notifying you that your application has been received. You can complete the Form G-1145 and attach it to the first page of your application. * At STEP 2, the FSA will assemble the application packet and will immediately hand it over to the student. The original STEM OPT Extension I-20 will also be given to the student. Student will keep the original STEM OPT Extension I-20. Do not mail the original OPT STEM Extension to USCIS. The FSA’s responsibilities are limited to reviewing the application packet for accuracy. The student is required to mail the STEM OPT Extension Application Packet to the appropriate USCIS Lockbox based on the address that is printed on the student’s Form I-765. For students living in California, please mail your packet to Arizona USCIS Lockbox Facility. For students living outside of California, please refer to the Form I-765 Application Instructions (www.uscis.gov) for the appropriate lockbox location. You will not need to pay an additional USCIS fee or refile the Form I-765. * At STEP 2, the FSA will hand over to the original STEM OPT Extension I-20. Once students receive the new I-20 they are required to mail all requested documents listed on the RFE to USCIS immediately. Student will keep the original STEM OPT Extension I-20. Do not mail the original OPT STEM Extension to USCIS. Important: IESC does not require ANY fees for the services it provides to international students. No fees, under any circumstances, shall be submitted to IESC. An F-1 student is eligible for 24 months of STEM OPT Extension. By default, the start date of the STEM OPT Extension will be the day after your current STEM OPT EAD expiration date. SEVIS will automatically calculate 24 months or additional 7 months and use that date as the official end date for the STEM OPT Extension period. If the STEM OPT Extension application is approved, the student will receive the EAD from USCIS via mail. The new start and end dates will be printed on the EAD. These dates are the authorized period for STEM OPT Extension. Students may continue working for up to 180 days with their expired OPT EAD while their STEM OPT Extension application is pending with USCIS or until the final decision is made on the I-765, whichever comes first. Student must stop working if the application is denied. The student must work in a job that is directly related to his/her major field of study. Employed/have a job offer from an employer registered in an E-Verify Program; STEM OPT Extension restricts work to E-Verify employer only. (Volunteering and self-employment are not permitted during the STEM OPT extension). Students must work full-time (20+ hours per week) during STEM OPT. Student must report to the IESC office every 6 months to confirm the information listed above, even if none of the information has changed. To report personal and STEM OPT employer information, students must visits the IESC website under the STEM OPT Section, click on the link titled ‘Report Your OPT’ and complete the OPT reporting form. Student’s information will be updated automatically. An annual self-evaluation is required to report a student’s progress with the practical training. The student must complete the first “Evaluation of Student Progress” portion of the Form I-983 page 6 within 12 months of the listed STEM OPT start date. Employer must sign the self-evaluation prior to submission to iesc@csun.edu. The student must complete the final evaluation portion of the Form I-983 page 7 which is required at the end of the STEM OPT extension. Employer must sign the final-evaluation prior to submission to iesc@csun.edu. When student changes employers (new employer must be E-Verify), the student must submit a new I-983 form to the IESC office within 10 days of starting the new practical training opportunity. Email a copy of your Employment Authorization Document (EAD) to iesc@csun.edu. Please include your full name and CSUN ID # in the subject line. Warning! SEVIS records of students who fail to report their information within the required time will be automatically terminated. F-1 student status is dependent on employment while the student is on STEM OPT. Students may not accrue an aggregate of 150 days of unemployment during their OPT and STEM OPT Extension period. Students who accrue more than 150 days of unemployment will be considered out of F1 status. Students must notify their FSA if they are nearing their 150th day of unemployment to discuss their future plans to remain in correct immigration status. Otherwise, students will need to depart the U.S. Employer must be registered with the E-Verify employment verification system. Employer shall provide the student with the company’s E-Verify number. For more information on E-verify please visit www.dhs.gov/e-verify . Employer and student must complete and sign Form I-983 Mentoring and Training Plan. This from must be completed by the student and their STEM OPT Extension Employer. For guidance on the I-983 please visit the Study in the States website. Employer is responsible for review and signing of the students annual self-evaluation reporting. There are two evaluations, the first “Evaluation of Student Progress” portion of the Form I-983 page 6 will be due within 12 months of the listed STEM OPT start date and the final evaluation of the form I-983 page 7 will be due at the end of the student’s STEM OPT period. The employer must agree to report the termination or departure of the student to the FSA or through "any other means or process identified by DHS" within 5 days of termination of employment. An employer must consider a worker to have departed when the employer knows the student has left employment, or if the student has not reported for work for a period of five consecutive business days without the employer's consent. Report material changes to the STEM OPT student’s employment to the DSO within 5 business days. Implement a formal training program to augment the student’s academic learning through practical experience. Working for the employer will help the student attain his or her training objectives. U.S. Immigration and Customs Enforcement may visit the student’s worksite(s) to verify whether they are meeting the STEM OPT program requirements, including whether they are maintaining the ability and resources to provide structured and guided work-based learning experiences for the STEM OPT student. If the student changes his employer while the STEM OPT Extension application is pending, the student will contact USCIS for specific instructions and also notify FSA to request a revised STEM OPT Extension I-20. The new employer must also be e-verified. If the student loses a valid EAD, he/she must re-apply to USCIS with all the required documents as well as the application fee. The student will contact the Foreign Student Advisor for current information. Students on a 17-month OPT extension who apply for and are granted an additional 7- month period of OPT shall be considered to be in a period of 24-month OPT extension, as authorized under 8 CFR 214.2(f)(10)(ii)(C) and abide by the new rule. Any denial of the application for the additional 7-month extension, the student, the student’s employer must abide by all the terms and conditions that were in effect when the 17-month OPT extension was issued throughout the remaining validity period of the 17-month OPT extension. The student must use the new OPT STEM Extension I-20 for all purposes including travel. Valid F-1 visa- students with an expired F1 visa must contact the U.S. Consulate or Embassy in their home country to renew their F1 visa prior to their return to the U.S.
*IMPORTANT: If your OPT EAD has expired, you may not travel outside the U.S. You will need to wait to receive the new EAD for the OPT STEM Extension. At the end of STEM OPT Extension, the student can select ONE of the following options: (must be done within 60 days of the EAD expiration date). Change Status within the U.S. (The best option here is to consult with an immigration attorney). Note that you cannot travel back to the U.S. during your grace period using the F-1 status. If you will enroll at a new school for continued study, please email your FSA to arrange a SEVIS record transfer. Duration of F-1 status and work authorization will be extended for a student on OPT STEM Extension who is the beneficiary of a timely-filed H-1B petition requesting an employment start date of October 1 of the following federal fiscal year (October through September). This would apply to all students on OPT, not just STEM students. The student must submit proof of a filed or waitlisted petition to his/her FSA and request that the OPT STEM Extension and/or F1 status be extended accordingly. The extension of duration of status and work authorization would automatically terminate upon the rejection, denial, or revocation of the H-1B petition filed on the student's behalf. Students are responsible for reporting their U.S. address, employment details, company name and address, and any periods of unemployment every six months to IESC. To report your employment information please click here. Student must also report and complete an annual self-evaluation. There are two evaluations, the first, "Evaluation of Student Progress" portion of the Form 1-983 (page 6) will be due within 12 months of the listed STEM OPT start date and the final evaluation of the Form I-983 (page 7) will be due at the end of the student's STEM OPT period. Both evaluations are to be reviewed by the student's employer and require the employer's signature. Completed evaluations are to be emailed to iesc@csun.edu. Employers should report the termination and/or departure of the student’s employment by emailing details to iesc@csun.edu. Before you report your employment, IESC must have a copy (FRONT and BACK) of your Employment Authorization Document (EAD). Email your EAD card to , please include your full name and CSUN ID number in the subject line. 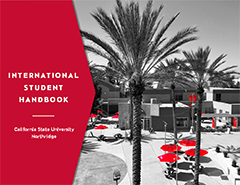 Please contact IESC at (818) 677-3053 or email a Foreign Student Advisor (FSA) for questions and/or clarifications.